Aurelio Micallef Grimaud (pictured) has been appointed chief operating officer at Medavia Technics, the technical arm of Mediterranean Aviation Company Limited, better known as Medavia. He succeeds Daniel Galea who spearheaded the attainment of the Bombardier Q400 and ATR series aircraft approvals in the last two years. Mr Galea was also instrumental in the rebranding exercise of the technical side of the business under the Medavia Technics tradename. Mr Micallef Grimaud graduated with Honours as a mechanical engineer from the University of Malta in 1986. 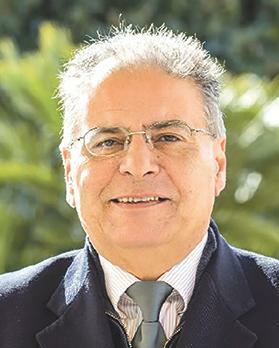 He started a long career in aviation at Air Malta and its subsidiaries and later as the first maintenance manager at Lufthansa Technik Malta, soon moving up to chief commercial officer with the same organisation. He also covered a five-year stint at Mcast as director of mechanical engineering, which includes the Aviation Department, and later taking responsibility for the Engineering and Transport Institutes of the college. With over 30 years of experience in various aviation sectors including airlines, MRO and training facilities both in Malta and abroad, he was the natural choice for the position. Mr Micallef Grimaud joined Medavia in 2016 and is currently head of Continuing Airworthiness, responsible for the technical management of the Medavia fleet. Managing director Rammah Ettir said this would see the consolidation of what has been achieved at Medavia Technics over the past few years, with the establishment of the company name among the leading MROs in the regional turboprop aviation sector in the southern part of Europe.